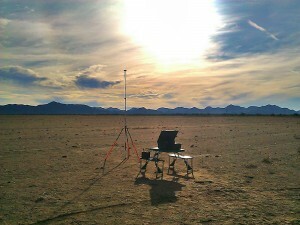 Ventura Aerospace has been developing and deploying flight test data acquisition systems for many years. Our systems are used for STC certification projects as well as ongoing airframe structural health monitoring. Our data acquisition systems can be used for ground certification testing as well as flight testing. Our capabilities and systems allow your engineers to verify their assumptions and easily satisfy FAA requirements. Differential GPS Aircraft Position Recording System provides a post-processed time history of aircraft position for the purposes of Stage III Noise Testing, Airspeed Calibrations, and Runway Performance Testing. This system is FAA-approved to provide Time-Space Position Information for each of these types of testing. The system consists of two Marconi Allstar GPS receivers with associated hardware. One GPS logging system is used at a base station and a second GPS logging system is on the aircraft to record raw satellite data during testing. The data from the two systems is then post-processed to provide a differentially-corrected time history of the aircraft position. The data is then reduced further with methods that vary depending upon the type of test and the desired data output. Ventura Aerospace has four pitot rakes that can be mounted to the fuselage of an aircraft which are used to characterize the boundary layer. Each pitot tube has an integrated accelerometer to monitor structural health and provide “knock it off” criteria. Data rates can be selected as required for mission-specific needs. We have taken readings as high as 10,000 samples per second. One custom 36-inch pitot rake with 34 high-speed pitot tubes. Three custom 24-inch pitot rakes with 22 high-speed pitot tubes. Aero Instruments 100510 swivel-head air data boom. 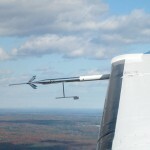 Ventura Aerospace also has a pitot static boom that can mounted to wingtips. This boom has a swivel head as well as side slip and angle-of-attack vanes. The most common form of data acquisition is strain and acceleration. 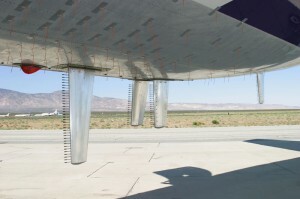 We have developed large systems for airframe measurements. Our systems can be used for ground and flight test purposes. We have installed systems with very high channel counts while maintaining data synchronicity across all channels. Ventura Aerospace can conduct complete data analysis for your program needs. This end-to-end service allows your program to get off the ground faster and be more cost-effective.